All the poor folks that have suffered with $3 and $4 gasoline prices of the past five years are now experiencing the thrill I've had for five years of filling up with $1.66 fuel. Yes, the CNG Honda Civic has paid off it's $2,500 extra purchase costs with the vast delta between gasoline and CNG prices over the past five years. CNG in Oklahoma has been less than $1.80 over the past five years - and based on the abundance of natural gas, I expect CNG to continue to be $1.50 to $1.80 for many years to come. Can you say the same thing about gasoline prices? Drove the 2012 Honda Civic to Houston and back this weekend. Spent $54 in fuel and drove a total of 1,020 miles - that's 5.3 cents per mile for fuel. 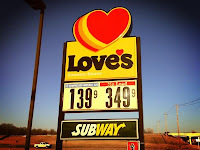 Love's may be on their way to taking over the c-store market - they are using CNG from their various installations to refuel their tractors that deliver the gasoline and diesel to their c-stores. SE Oklahoma is in DIRE need of some CNG stations - two great locations would be Durant on Highway 69 and the Hugo area on the south end of the Indian Nation turnpike. Here's a map of the stations along the route. Honda continues their promotion of the 2012 Honda Civic Natural Gas, even while the 2013 version is now on sale at Don Carlton Honda in Tulsa (which my wife recently purchased). Very happy to announce that the Free Fuel Card Program for the leftover MY12 Civic CNGs has been extended two months. The program has a new conclusion date of October 31st. Please note, I don't expect the program to be extended again as we have far fewer than 300 Civic CNGs at dealers and at their current sales rate we should be sold out within two months. So if you've been considering a CNG powered Civic the deals on MY12s have never been better. If you wait much longer you'll be left out. This Fuel Card discount is $2,000 - distributed as two $1,000 prepaid Visa cards after purchase of the Civic. Purchase Price (MSRP in $27k range) minus $2,000 Fuel Card minus $1,000 Oklahoma Natural Gas rebate minus $3,500 Oklahoma income tax credit. Note that many dealers are discounting the purchase price significantly; reportedly as much as 10 to 20%. It's possible that you could end up owning a new 2012 Honda Civic that runs on $1.00 CNG for significantly less than $20,000, net of the rebates, Fuel Card, and the ONG rebate. Which dealers have 2012 Civics? 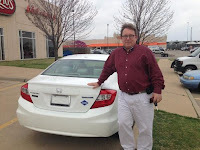 Honda of Bartlesville - does not participate in the Fuel Card program. Search eBay and Auto Trader for new 2012 Honda Civic with the GX or CNG or Natural Gas designation. Some dealers will put one of their 2012's on eBay to generate some sales leads. Navigation - typically prices $1,000 over the non-Navi version. No Navigation - includes all features of the Navigation version except SiriusXM and the navigation. There are no other features or options to select when buying a natural gas Civic other than color, which is limited to white, silver, charcoal gray, and "cool mist" light blue. 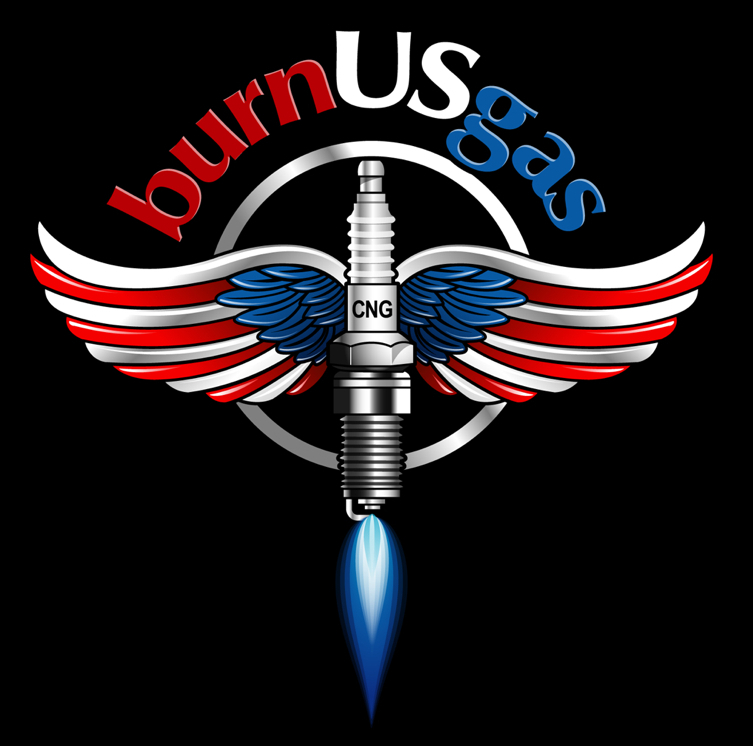 You can direct questions to me on Facebook and Twitter at @burnUSgas. 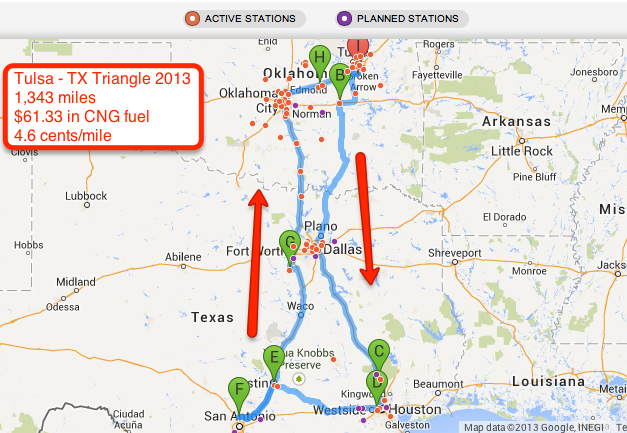 The emergence of CNG stations along the "Texas Triangle" has been reported recently. This past week I needed to be in Houston and San Antonio, so I decided to take the 2012 CNG Honda Civic on a tour of the Texas Triangle to prove whether the stations are prevalent enough. Note that the Civic holds 8 gge of CNG and no gasoline (called a "dedicated CNG vehicle"). This map shows the route I chose. Placemark B - West on I-40 from Henryetta, OK to stop at the Love's station in Okemah, OK, then south on Hwy 75. As reported in the previous post, "Oklahoma Turnpikes & CNG", the Indian Nation turnpike badly needs CNG refueling at the service plazas, but until that's installed Okemah is the route to Dallas. Placemark C - East on Loop 336 in Conroe, TX to refuel at Waste Management's Clean 'N Green station. Placemark E - West on Hwy 71 to the City of Austin's CNG station. 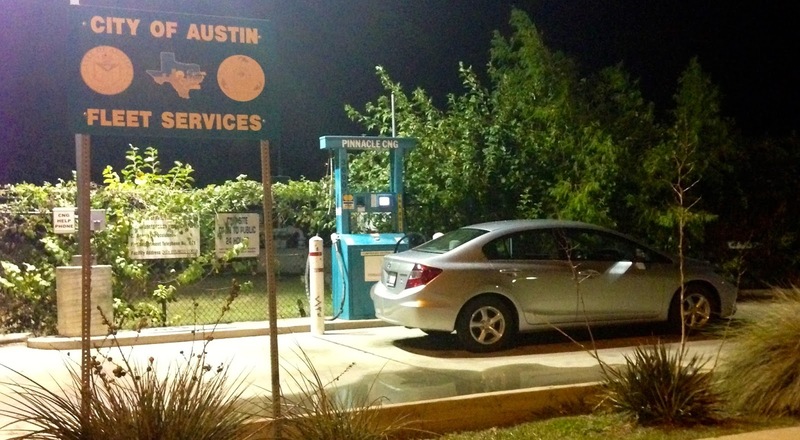 Love's future CNG stations in San Antonio are not operational yet, so a refuel in Austin was necessary. Placemark G - this stop was not necessary as there are stations in Fort Worth, but I want to check out the Peake Fuel Solutions station in Cleburne, TX. The total distance driven was 1,343 miles. The total cost of CNG was $61.33. That works out to about 4.5 cents per mile. I discovered on this trip that the mileage of the 2012 Civic is phenomenal - I achieved 44 mpg on the leg from Tulsa to Dallas averaging 65 mph. The lowest mileage, 37 mpg, was on the Austin to Fort Worth leg - I was ready to get home averaged 75 mph. I'm searching for a metric that illustrates how the CNG Civic is the cheapest, fastest way to travel. While a Chevy Volt or a Nissan Leaf can recharge for minimal cost like a CNG Civic, it takes hours of time every 80 miles or so. The fillups in the CNG Civic take less than 5 minutes and I'm back on the road driving the speed limit (not 55 mph in an attempt to extend the range). Called into KRMG's Wheels show Saturday morning - here's the audio of that call. I'll end this post with photos of the various CNG stations. 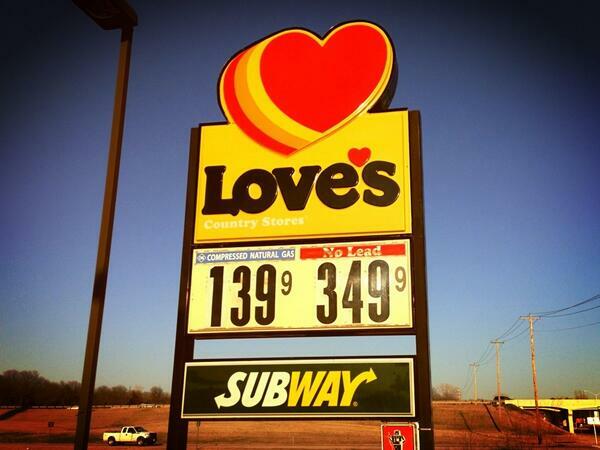 Oklahoma Turnpikes & CNG - fuel is cheaper than the toll! Now, a path to meeting that goal seems to be shaping up leveraging Oklahoma’s entrepreneurs and the Oklahoma Turnpike Authority (OTA). The sole turnpike plaza that currently offers CNG refueling is the Stroud plaza on the Turner Turnpike and while that little ol’ Oklahoma Natural Gas station is useful when low on fuel, it is very tired and inadequate. Love’s and OnCue have led the way in integrating CNG refueling into the convenience store. Now the OTA has a great opportunity to serve its refueling needs as well as its paying customers by integrating CNG refueling into plaza remodels. Showcase the economics and feasibility of using Oklahoma’s natural gas for transportation to turnpike travelers. Increase high profit margin concessions for plaza concession operators. Travelers in CNG vehicles will certainly refuel prior to exiting Oklahoma to the northeast (Vinita), south (Antlers), and southwest (Walters). Coincidentally, those are next three toll plazas slated for remodeling. CNG is often called “green times 2”, or #greenX2 in Twitter-speak, due to its cheapness and its environment-saving credentials. 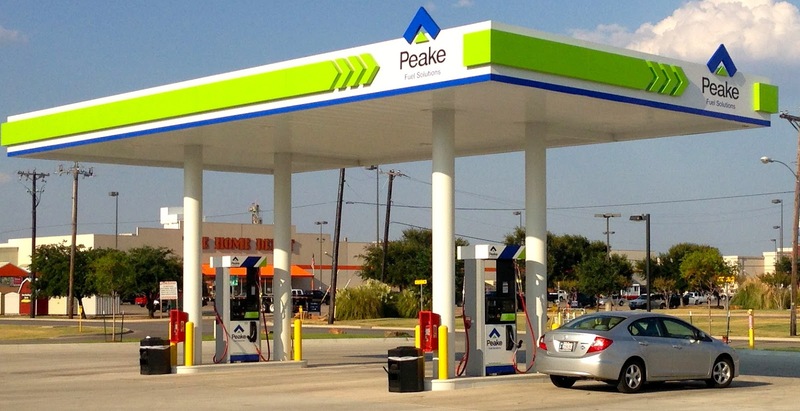 Now the Oklahoma Turnpike Authority has the ability to increase its revenue and reduce expenses by integrating CNG refueling into its planned toll plaza remodels. Green boxes indicate upcoming OTA convenience plaza remodels. OnCue and Love's have figured out what CNG can do for their convenience store sales. 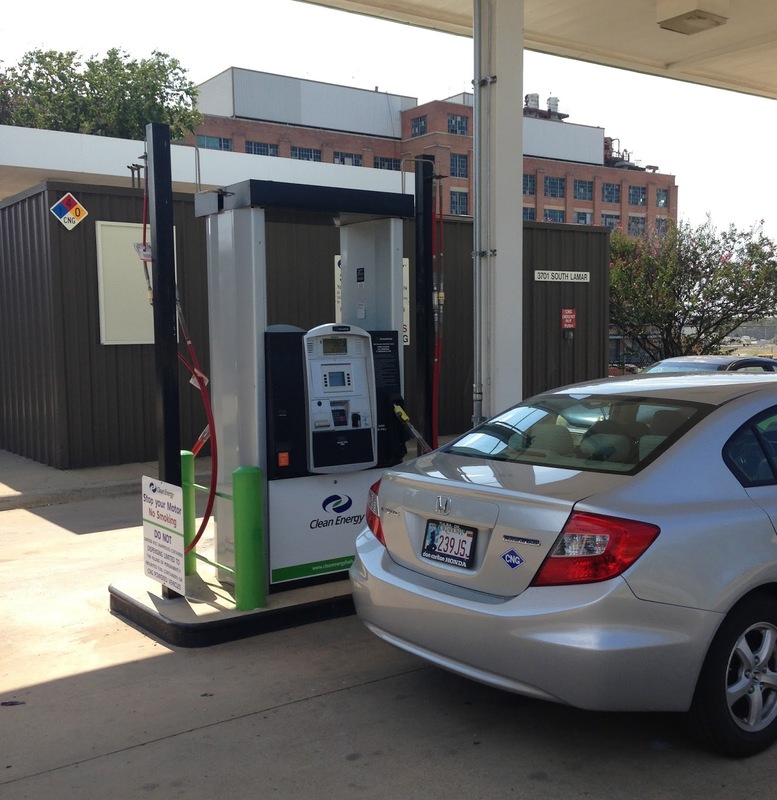 OnCue has CNG dispensers at 13 stores; Love's has 12 locations and adding more. Fortunately for Kum & Go, neither of these operators has stores in the Tulsa metro area. But... Kum & Go's huge problem in Tulsa is QuikTrip. My unscientific study determined that Kum & Go stores experience 25% or less of the store traffic that QuikTrip locations enjoy. Kum & Go has a great opportunity to change this at a few of their Tulsa area stores by being the first to offer CNG refueling. Unlike OKC, Tulsa does not yet have any CNG refueling at convenience stores. 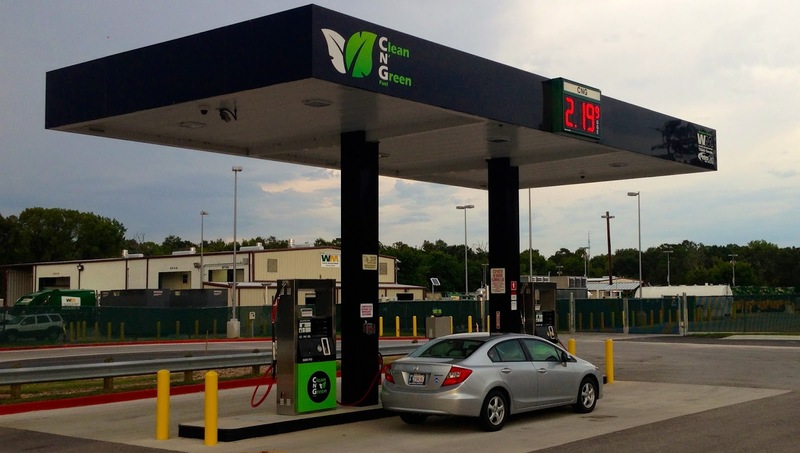 CNG users in Tulsa can only refuel at standalone, unattended locations. Except for the Apache CNG station at I-44 & Yale, all Tulsa CNG stations are not easily accessible from interstate highways. The best location for Kum & Go to experience an immediate boost in store sales is the location at Riverside Dr. and the Creek Turnpike. This location has plenty of space for the CNG equipment installation, easy on/off access to the Creek Turnpike with a dedicated traffic signal for eastbound traffic. That section of Creek Turnpike is now the most highly traveled of all the Oklahoma Turnpikes (26,000 vehicles per day each way). This Kum & Go location is easily viewed by travelers on Creek Turnpike and the tall price sign would catch a lot of attention with a $1.39 CNG price displayed. Why is CNG becoming so popular in Oklahoma? It's cheap - $0.90 vs $3+ for gasoline. It's available - check out the 70+ CNG refueling locations in Oklahoma with the CNGnow app. Vehicles are available - Honda Civic, Ford F-250, Chevy 3/4 ton truck, many EPA conversions available. CNG is a great fuel for our environment - it reduces the smog & ozone causing emissions nearly to zero. In my Twitter posts, I frequently use the hashtag #greenX2 for CNG because it saves the environment and lots of green cash! Mark is the latest convert to CNG. He lives in Bartlesville & commutes to Tulsa daily. Look for an upcoming blog post featuring Mark's CNG experience. Call Michelle at Don Carlton Honda, Mark Sprowls at Joe Marina Honda, Bill Jones at Bob Hurley Ford, or anyone at Joe Cooper Ford, Chris Nikels Dodge, Bill Knight Ford, Matthew Ford - you can drive a CNG truck or car off the lot today. 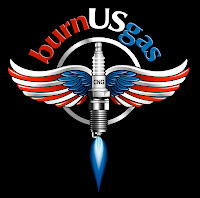 The new logo for BurnUSgas, designed by @CNGInjun, was launched this weekend on Twitter & Facebook. This image looks awesome installed as wallpaper on the 2012 Honda Civic dashboard screen. @dbow82 is working on a hoodie design - look for that announcement in a future post. May 24th at Tulsa Drillers Park - the first CNG Civic Homecoming sponsored by Don Carlton Honda. Find out more about the event & register your CNG Civic to attend at oemngv.com.